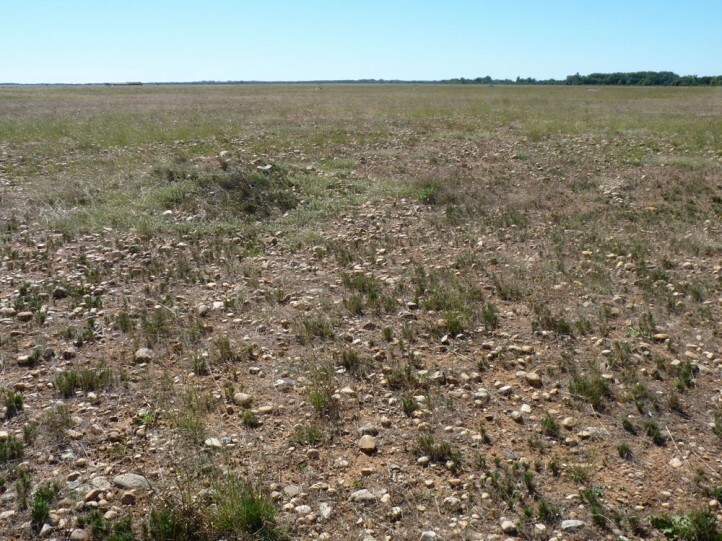 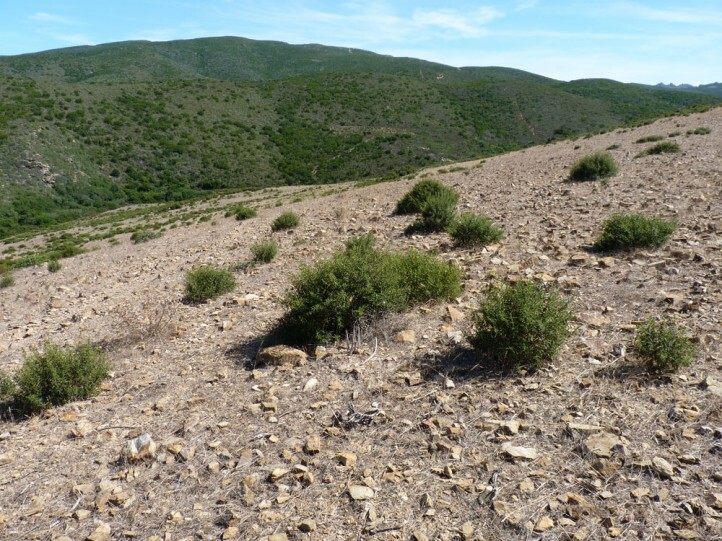 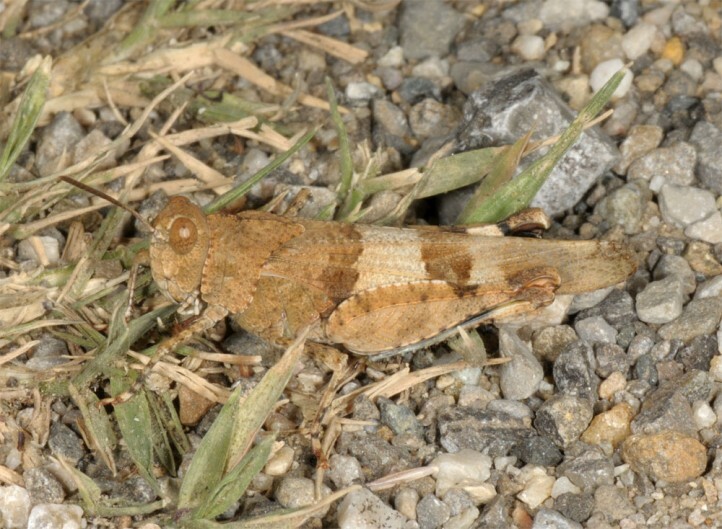 The species feeds on herbs and grasses. 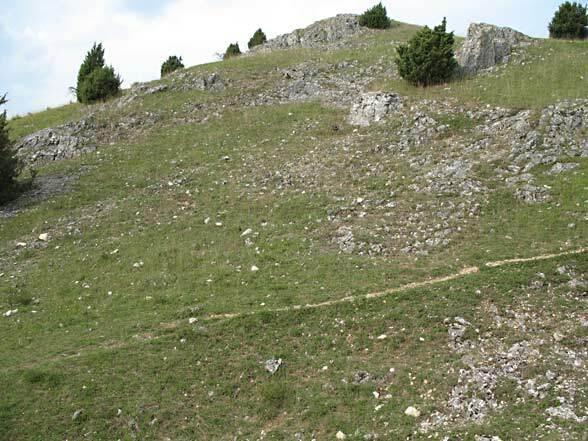 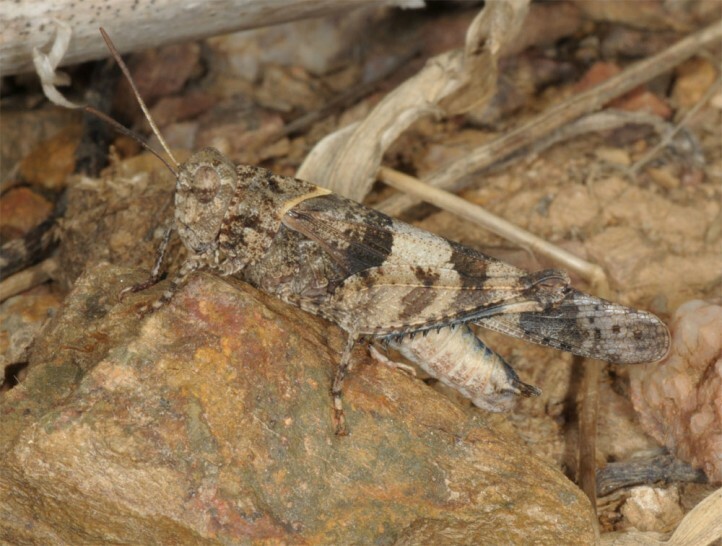 As well as Oedipoda germanica, the animals eat carrion like crushed insects, what I observed for example on the Täschalpe in Valais on trails where both species devoured together trampled Decticus and Oedipoda individuals. 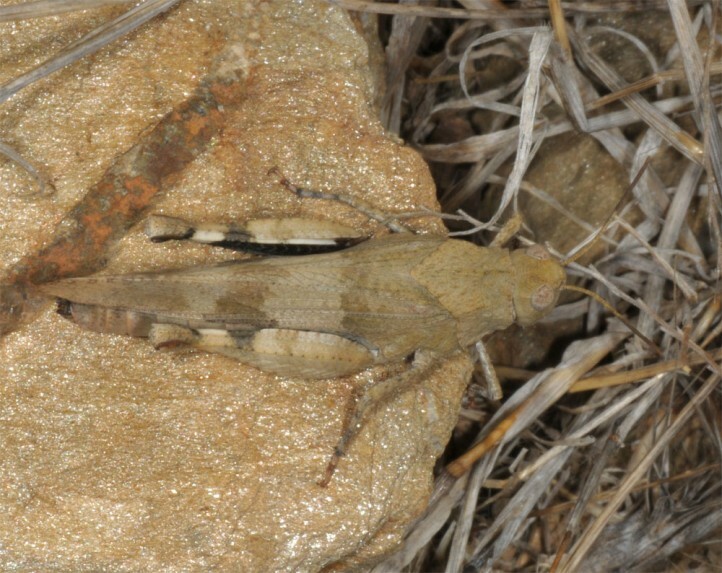 This protein- and mineral-rich food promotes egg development. 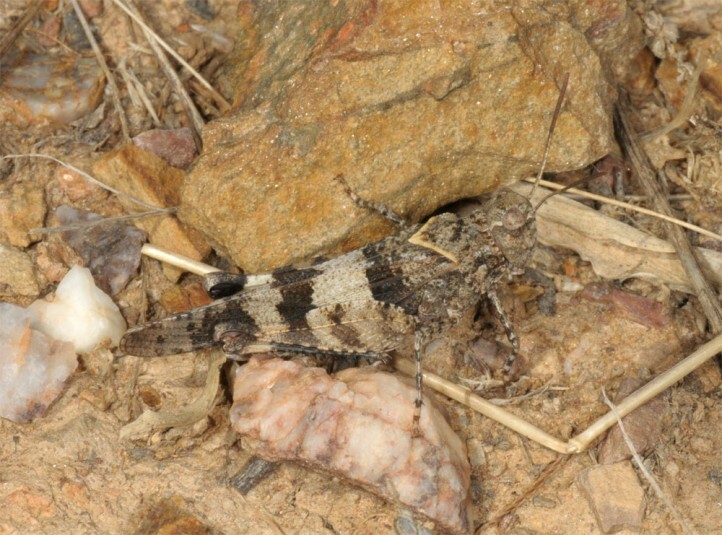 Oedipoda caerulescens inhabits sandy grasslands, rocky slopes or fine-earth rich steppe-like heathland. 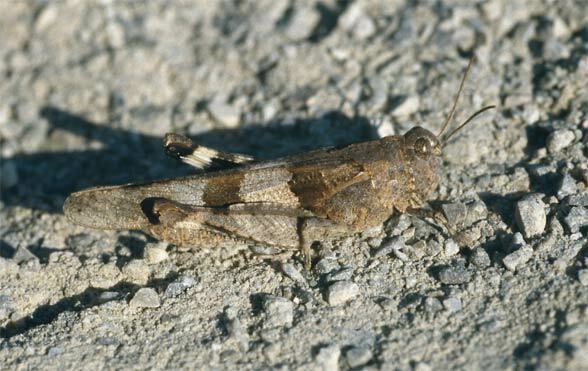 Secondary it also lives on railway corridors or sand pits. 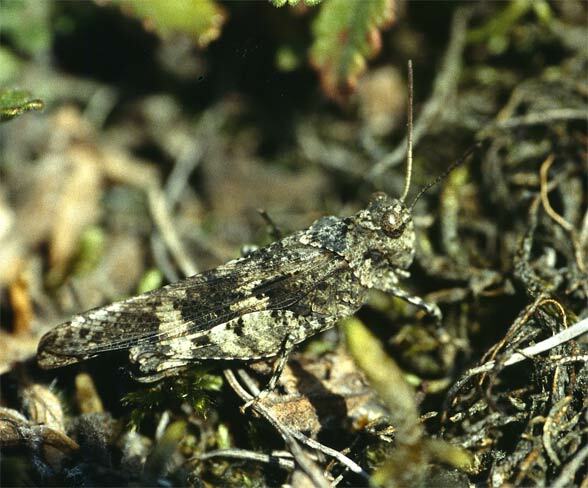 adults occur from late June to October. 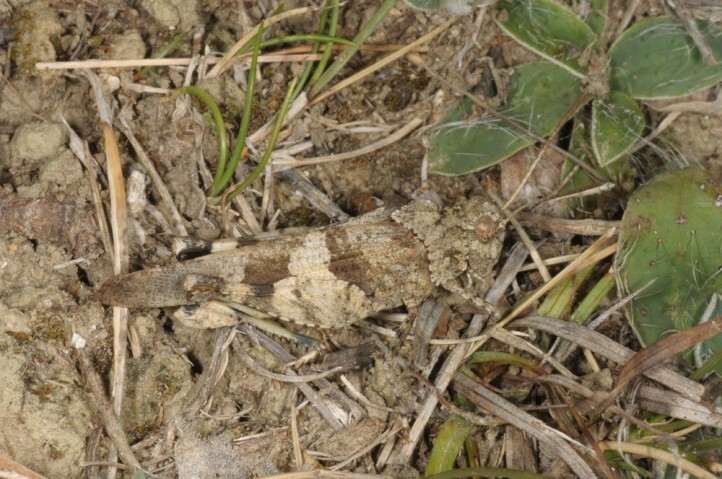 The eggs hibernate in the loose soil. 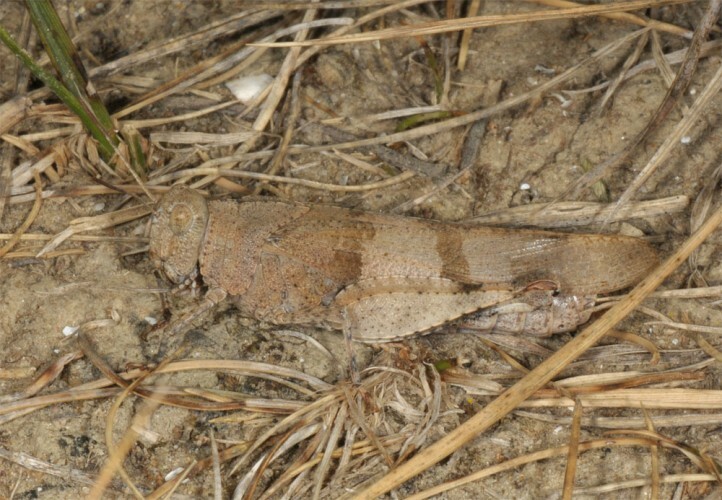 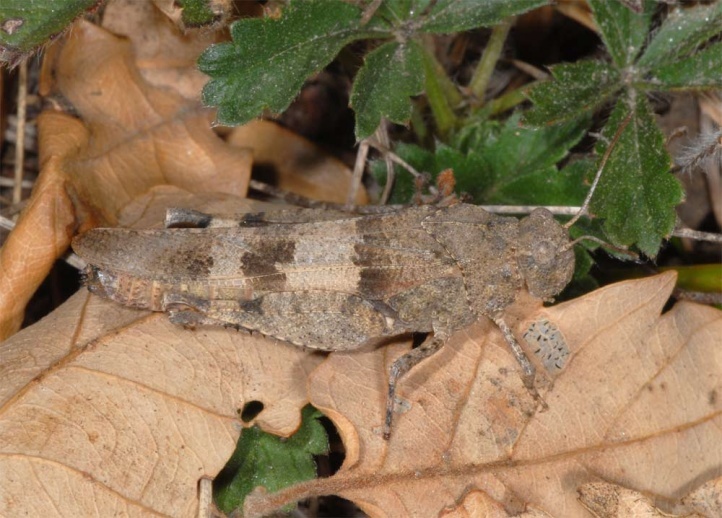 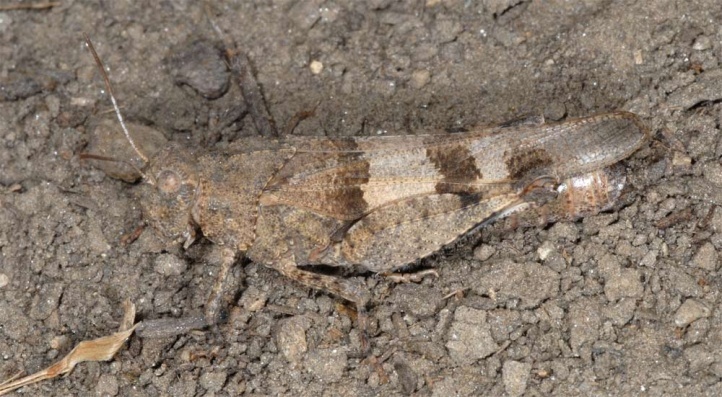 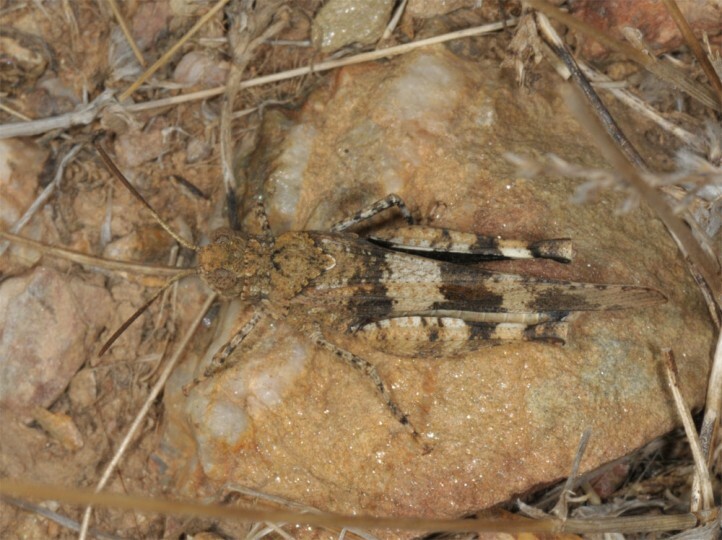 In Central Europe Oedipoda caerulescens is quite rare and limited to sandy grasslands of the lowlands, rocky limestone grasslands of the mountains (about Swabian Alb) and secondary habitats (railway, pits). 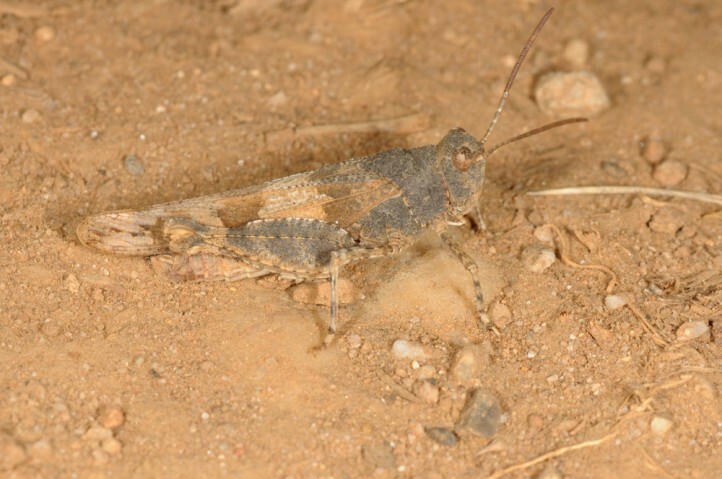 It is endangered by the decline in suitable habitats (urban sprawl, agriculture, asparagus fields, viticulture, afforestation, overgrowing of grasslands). 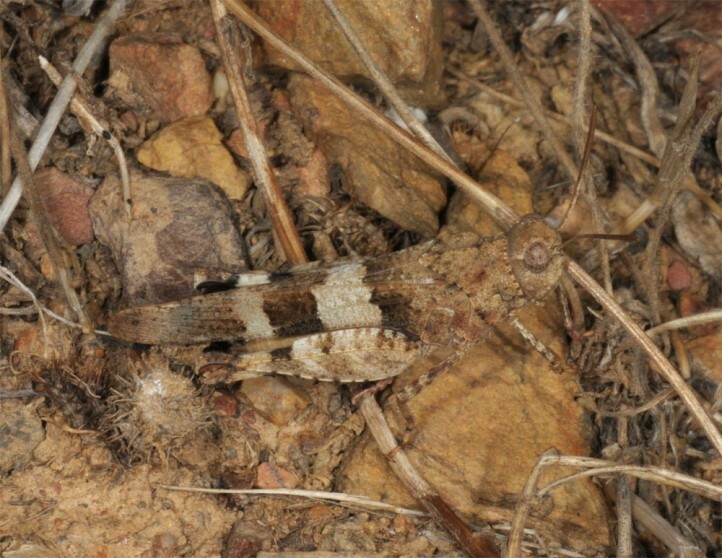 Overall, Oedipoda caerulescens is clearly more adaptable (less demanding) and better capable of spreading than Oedipoda germanica. 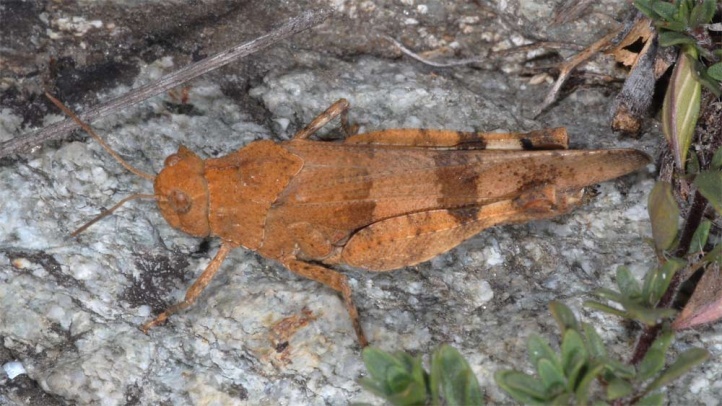 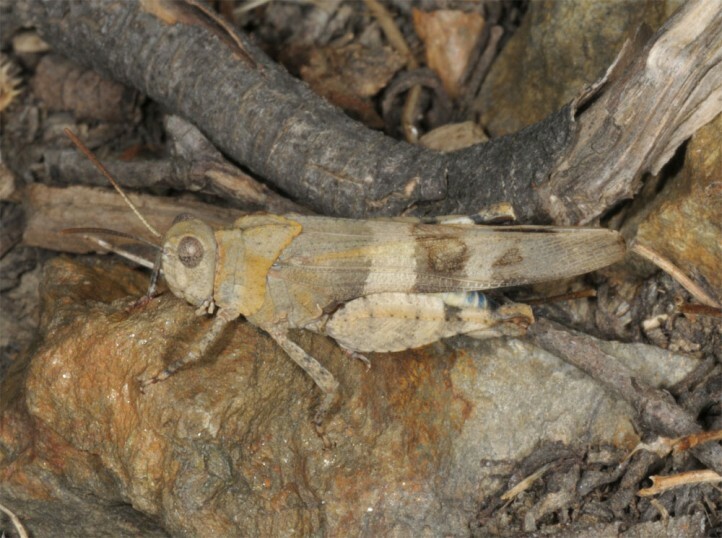 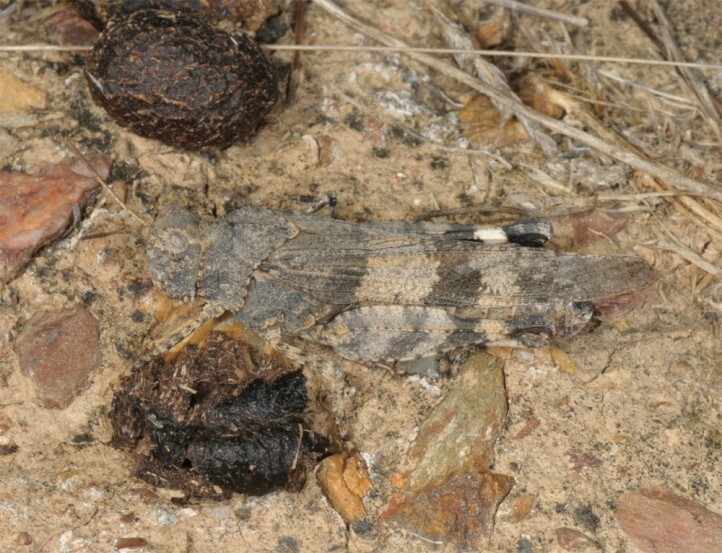 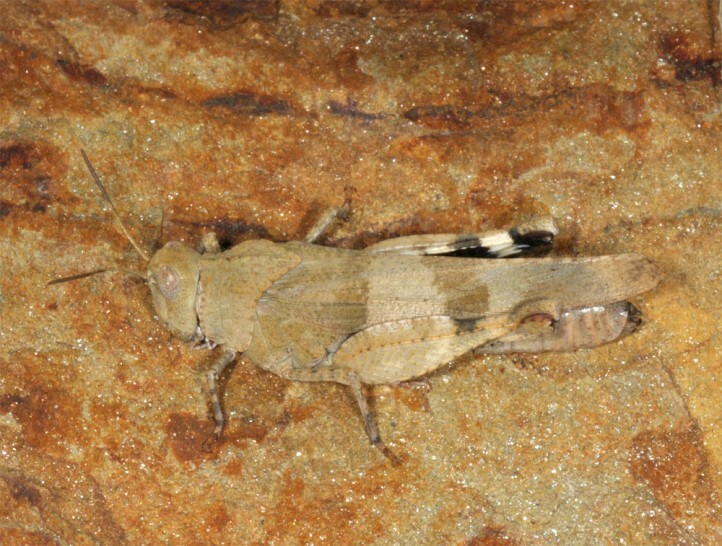 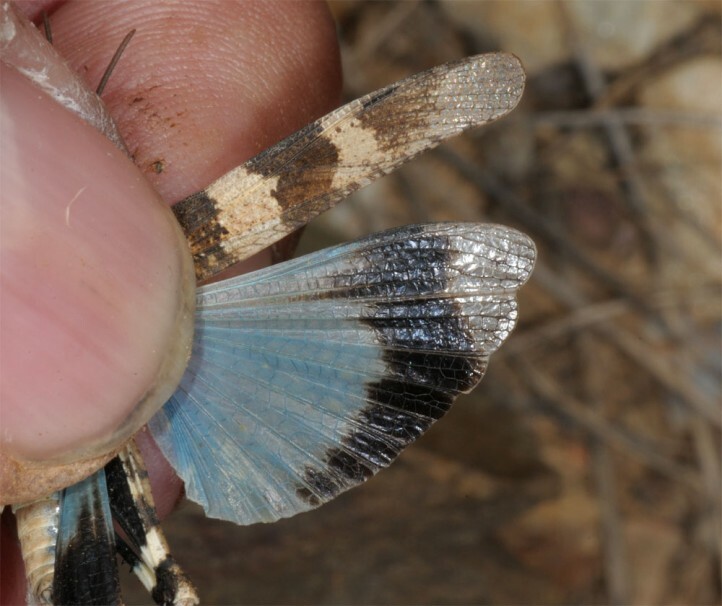 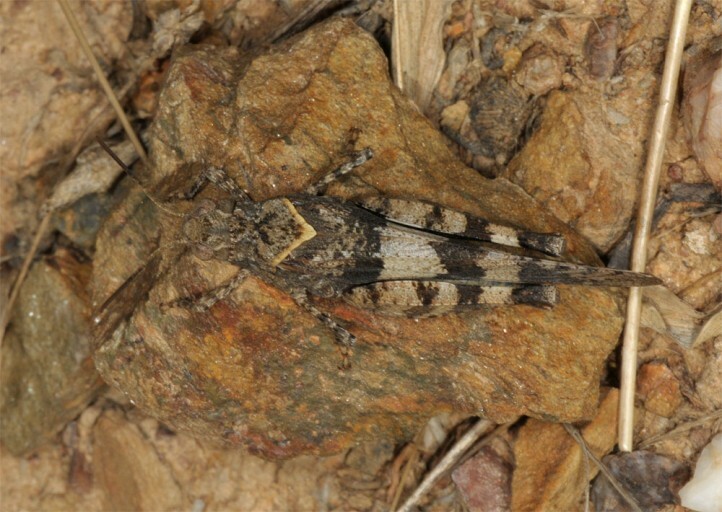 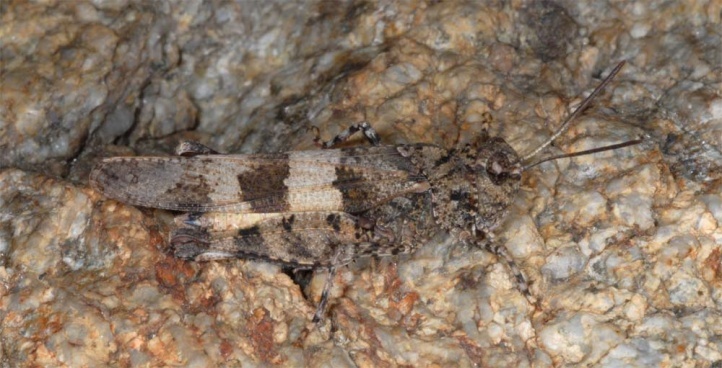 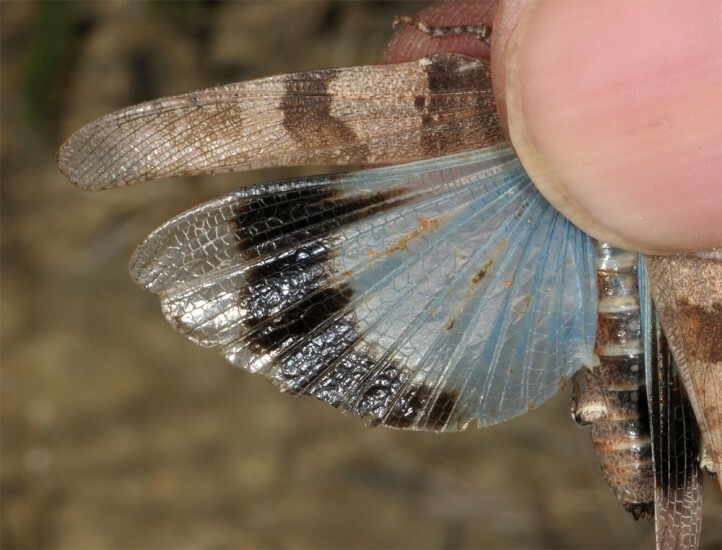 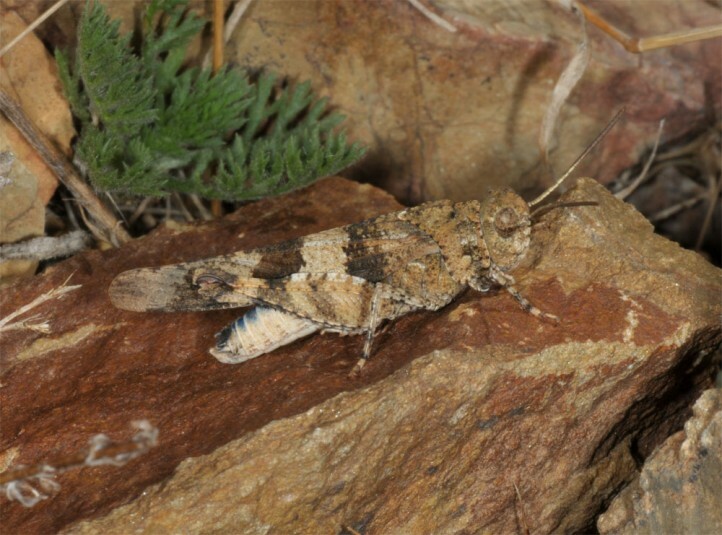 Overall, Oedipoda caerulescens occurs from North Africa across Europe to East Asia. 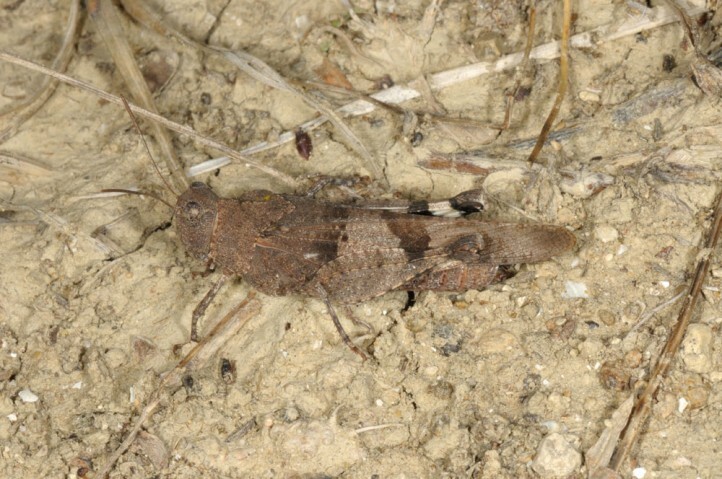 In Central Europe it occurs often only locally up to the North and Baltic Seas.